Dr. Tom Skadron graduated from the Ohio State School of Veterinary Medicine in 1992. Afterward, he served an internship in medicine, surgery, and exotics at the Animal Medical Center in New York City. 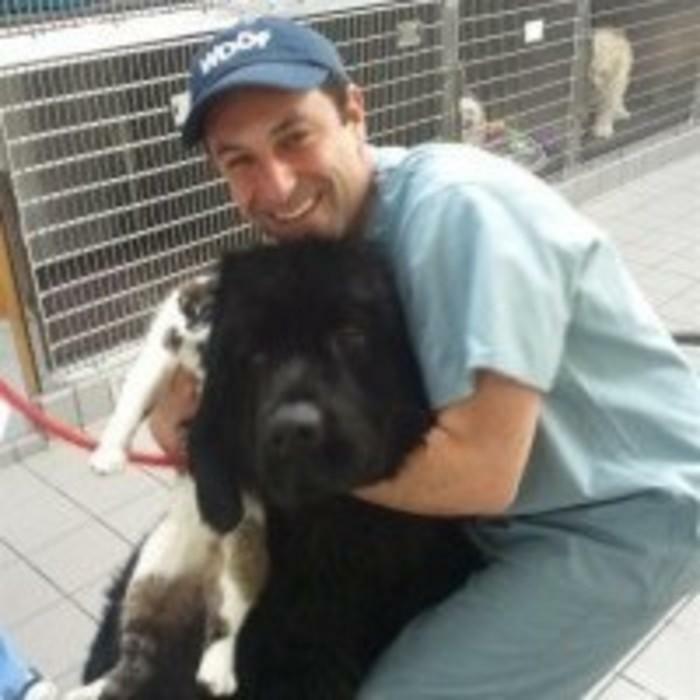 He has been practicing at the Skadron Animal Hospital since 1993. 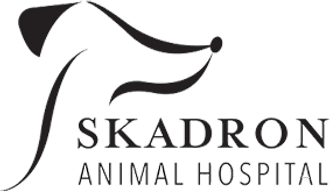 Dr. Skadron has a special interest in small animal medicine and surgery and has served on the board of several veterinary organizations, including The Animal Emergency and Referral Center of Minnesota and Veterinary Hospital Association. 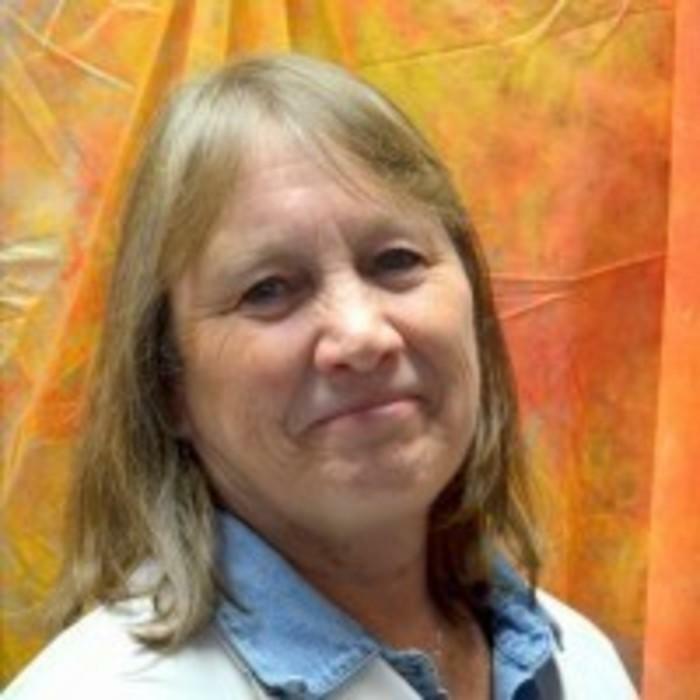 Dr. Teri Skadron graduated from the Ohio State School of Veterinary Medicine in 1992. 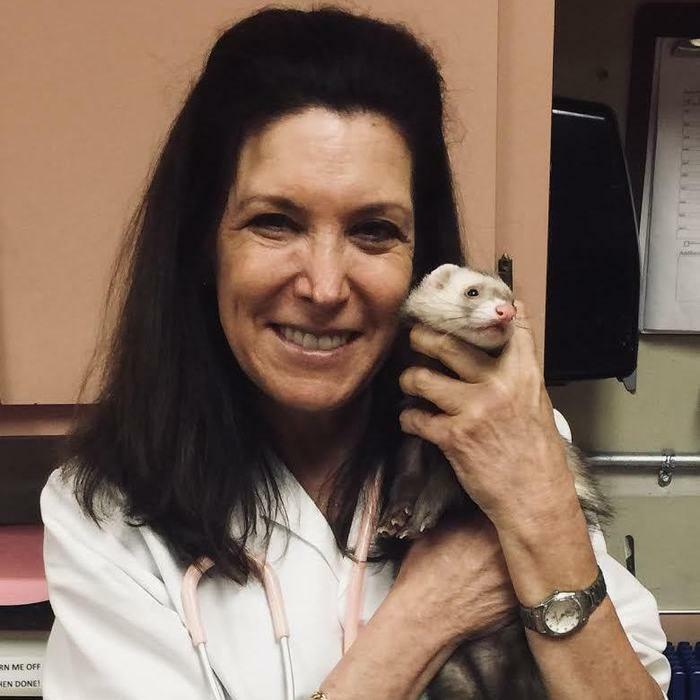 Prior to arriving at Skadron Animal Hospital she served an internship in medicine, surgery and exotics at Animal Medical Center in New York City. 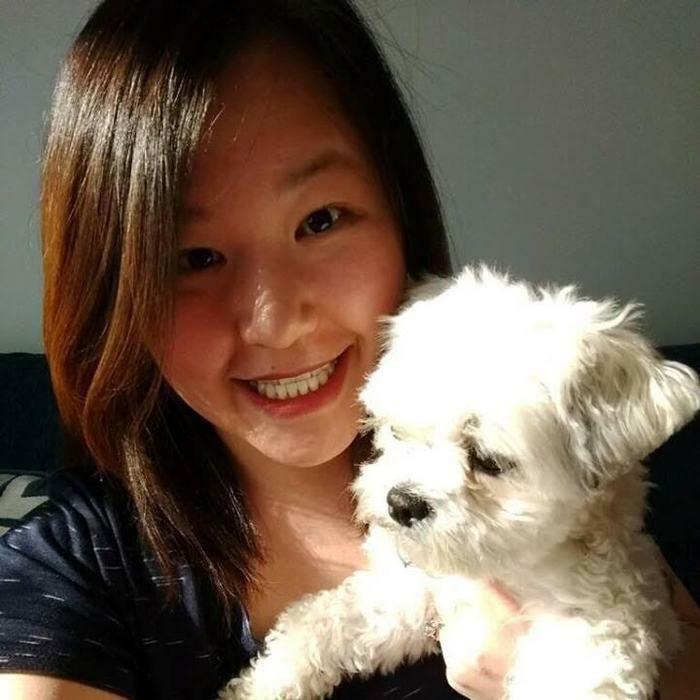 She has a special interest in exotic animal medicine and is a veterinary acupuncturist. She became certified with IVAS (International Veterinary Acupuncture Society) in 2003. Originally from Iowa, she obtained her Doctorate of Veterinary Medicine from Iowa State University. Dr. DeVries spent the last 13 years working in general practice and emergency medicine in California and Virginia. 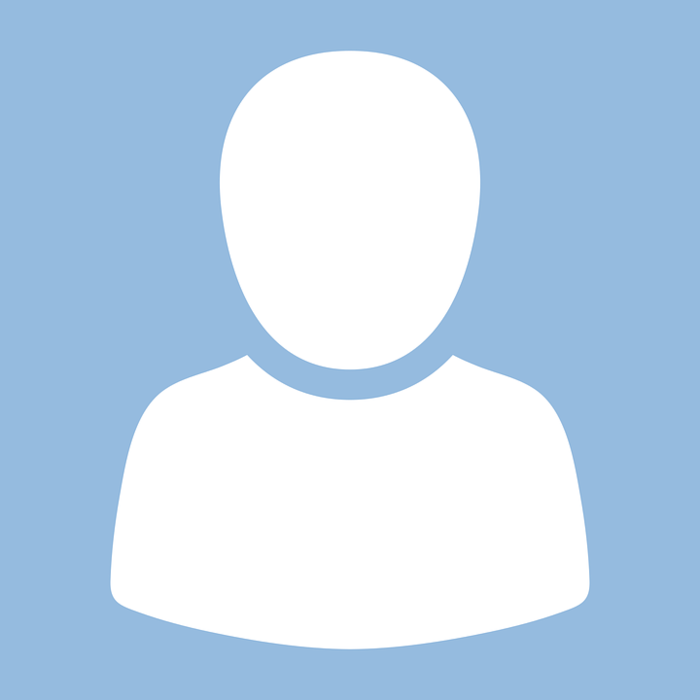 Her professional interests include internal medicine, dentistry, and client education. She and her husband have three amazing children that keep them very busy. In her free time she enjoys running, reading, gardening, cooking, cheering on her kids and spending time outdoors with her family. 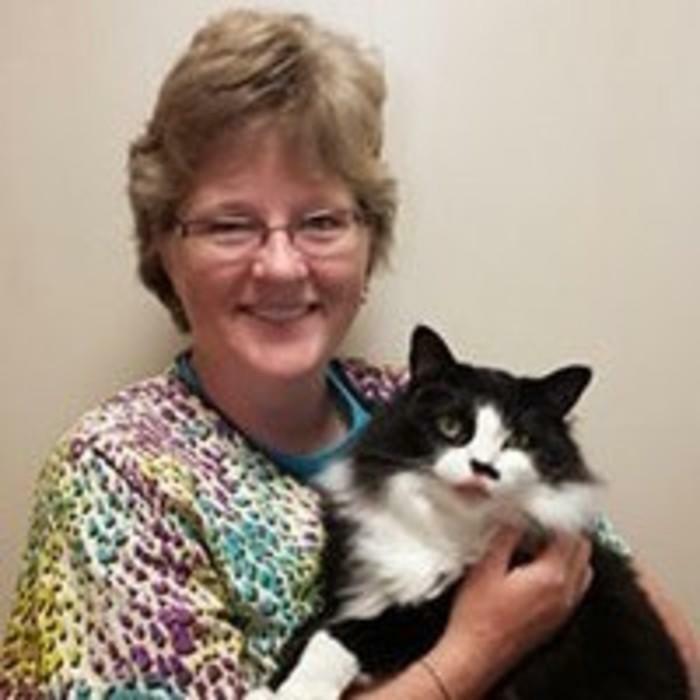 Dr. Moore has worked at Skadron Animal Hospital since 1981. She continues to maintain her presence in a consulting role. Dr. Ciernia graduated from the University of Minnesota Veterinary School in 2012. She obtained her BA from Providence College in RI and graduated from Breck High School. She worked in Minnetonka for 6+ years after graduation. 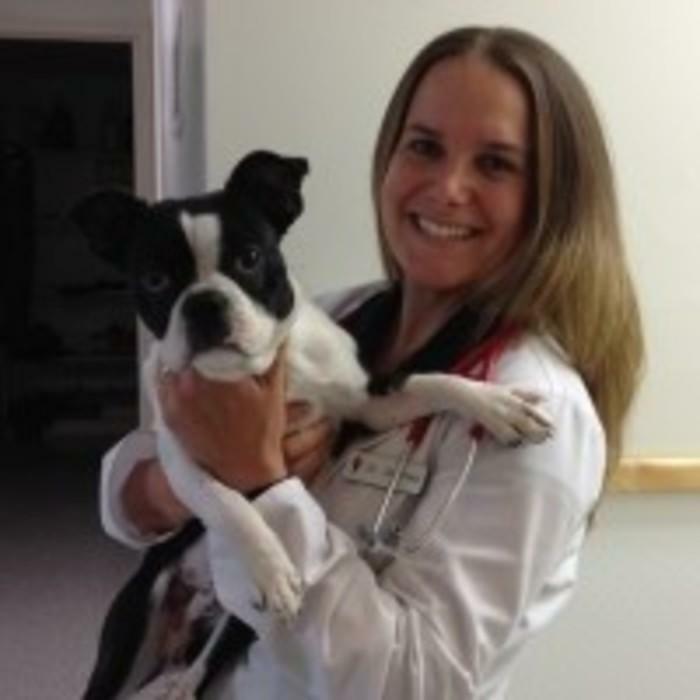 Dr. Ciernia worked at Skadron Animal Hospital 12 years ago prior to and while attending veterinary school. She lives in Chaska with her husband and three kiddos (two boys and a girl). She also lives with 1 rescue Dane/Shepard cross ( Dexter) and 3 rescue cats ( Ruthie, Jeter and Yogi). Her special interests include internal medicine and gastrointestinal issues. She has a special love for German Shepards, flatcoated retrievers and cats! Alesha Greenwalt is originally from Philadelphia, Pennsylvania. 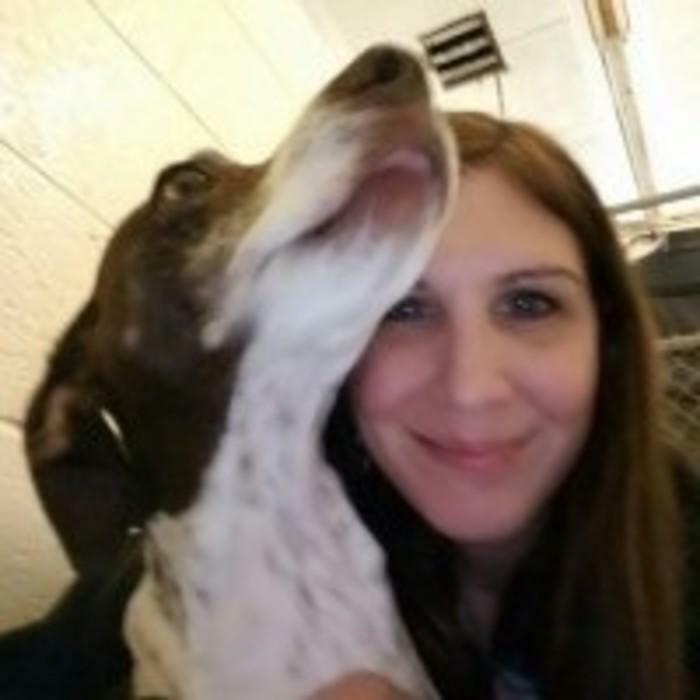 She graduated from Delaware Valley University as a pre-vet student with her Bachelors in Small Animal Science. She will be attending the class of 2021 at the University of Minnesota College of Veterinary Medicine. Her professional interests include client education, emergency medicine, and surgery. Alesha lives with her fiancé Chris and their two dogs Otto the German Shepherd and Max the American Staffordshire terrier. In her free time, Alesha enjoys hiking with her dogs, snowboarding, and enjoying time with her family and friends. 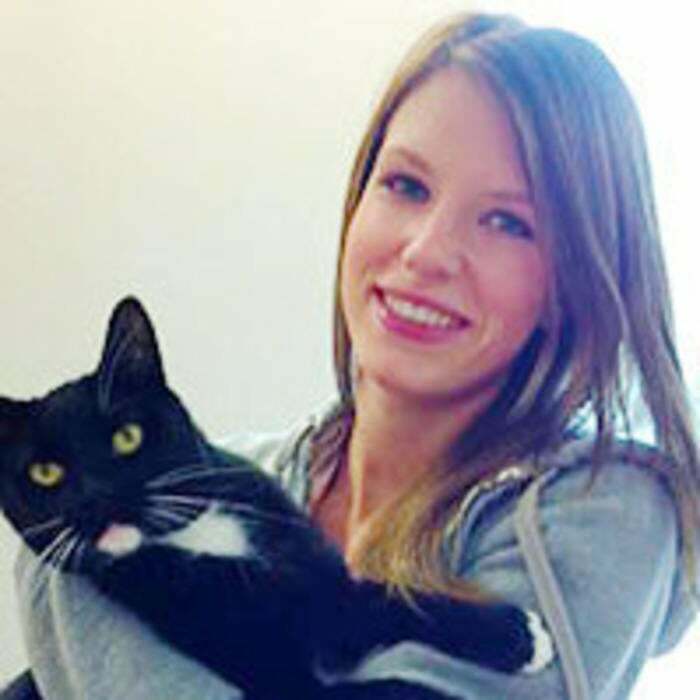 Kayla Raab is a Certified Veterinary Technician that has been with us since 2009. She started out at kennel and has grown with our business since. She graduated from Argosy University in 2013 and received her credentials the same year. 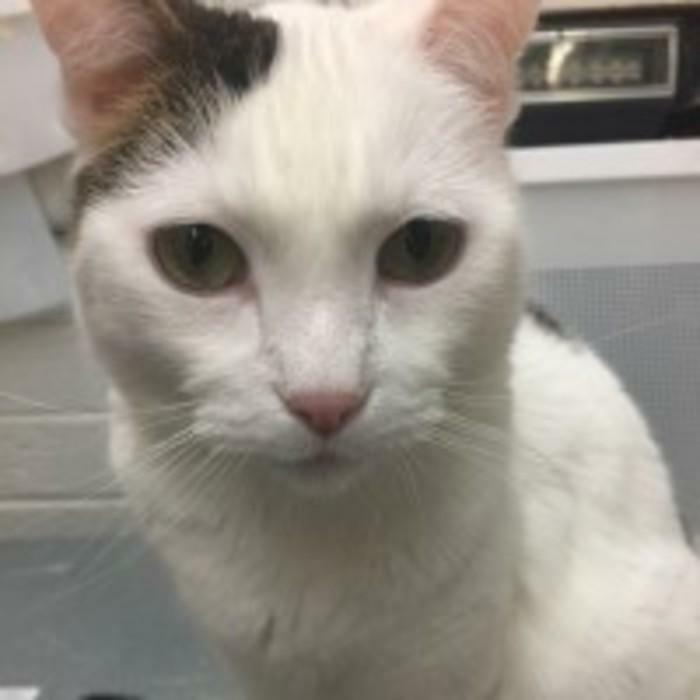 She loves being a part of families by caring for their furry loved ones. She enjoys spending time with her family, playing beach volleyball and spoiling her own pets. Stasi Karels graduate from Argosy University in December 2017. 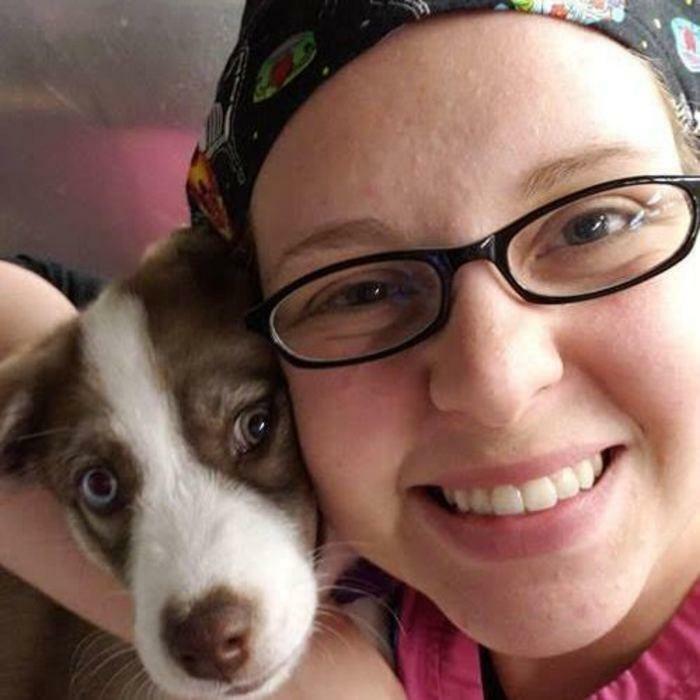 She began her wonderful journey of a Vet Tech at Skadron Animal Hospital and it has been a life-changing opportunity! She lives in Cottage Grove with her husband Robert and their two dogs. Stasi loves long walks, jogging, playing volleyball and spending time with her family. 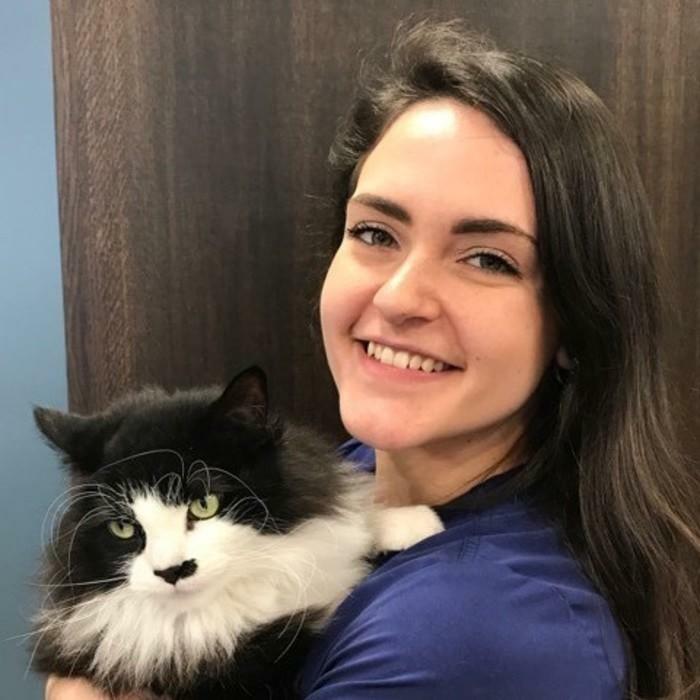 Melanie graduated from Globe University in 2016 with an A.A.S in Veterinary Technology and passed her national boards exam earning her CVT credentials shortly after. 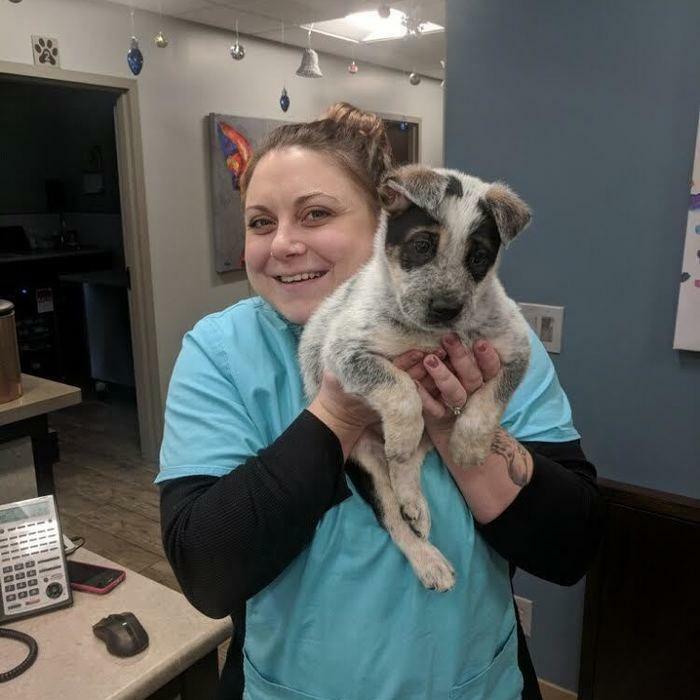 She has been with Skadron Animal Hospital since September of 2017. 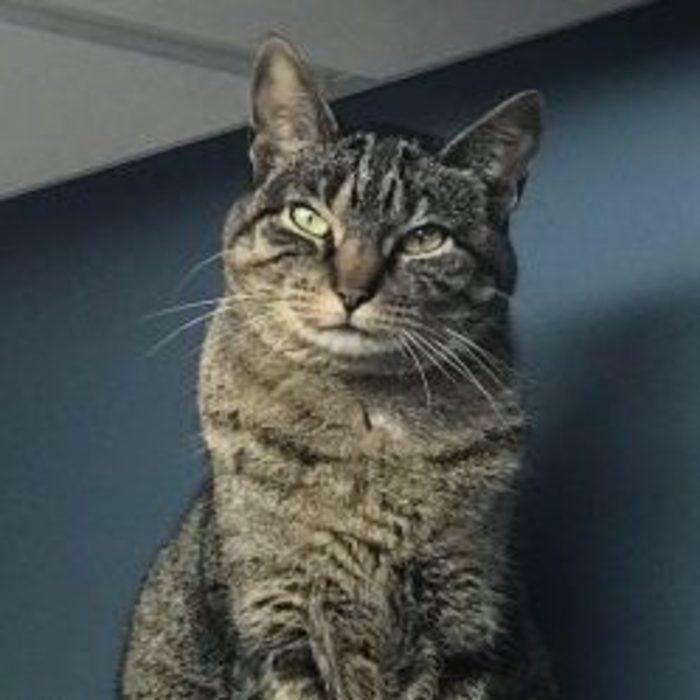 She is from South St. Paul, MN where she lives with her boyfriend Kyle and their fur babies; 2 dogs, Nismo (husky) and Moose (Pitty Mix named after her late rats Goose and Maverick), a bearded dragon named Groot, a mouse named Colby Jack and a beta fish named Diablo. In her free time you can find her anywhere outdoors with her dogs or watching any Marvel movie. Kristen grew up in West Fargo, ND. She had a love for animals at a young age. 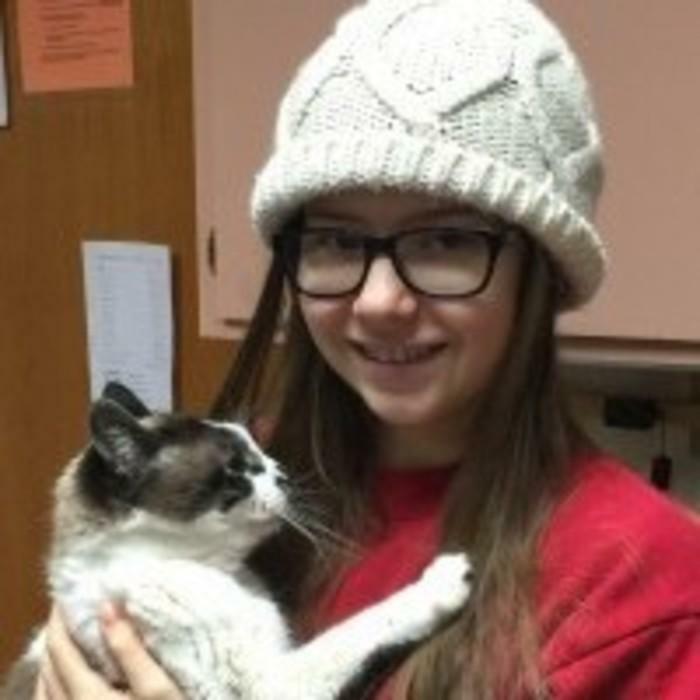 Her grandma and aunts took in animals that needed homes and she quickly had a love of caring for animals as they did. 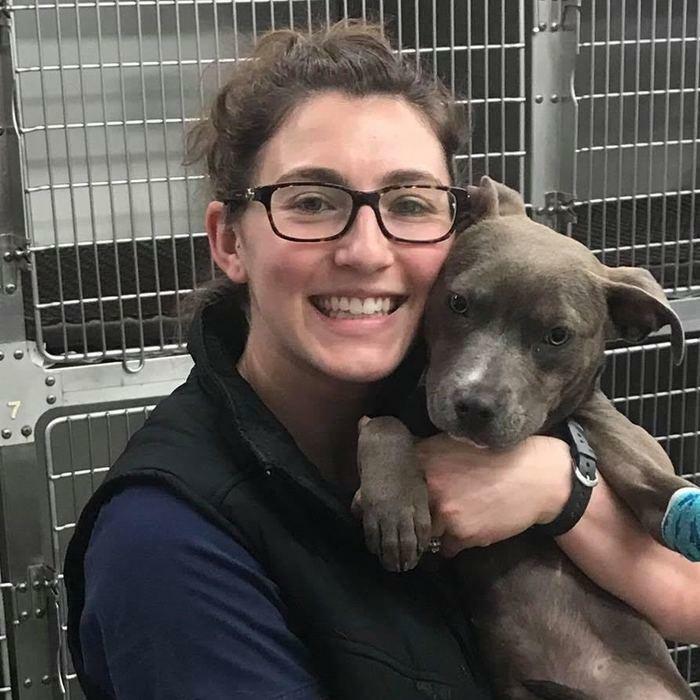 She attended Duluth Business University for Veterinary Technology and worked at Animal Allies Humane Society while attending school. Kristen joined our team in September 2018. She has a special interest in surgery, especially orthopedic, and loves to learn. Kristen lives in St. Paul with her husband and daughter. They have 2 dogs, Dexter and Dozer, and 2 cats, Olive and Pickle. In her free time, she loves to travel, camp, hike, be with friends and family, and go to her family lake cabin. She also enjoys watching and attending football and hockey games, especially the Vikings, Wild, and North Dakota State Bison. One of our fabulous, caring receptionists! Pat is one of our fabulous and caring receptionists! 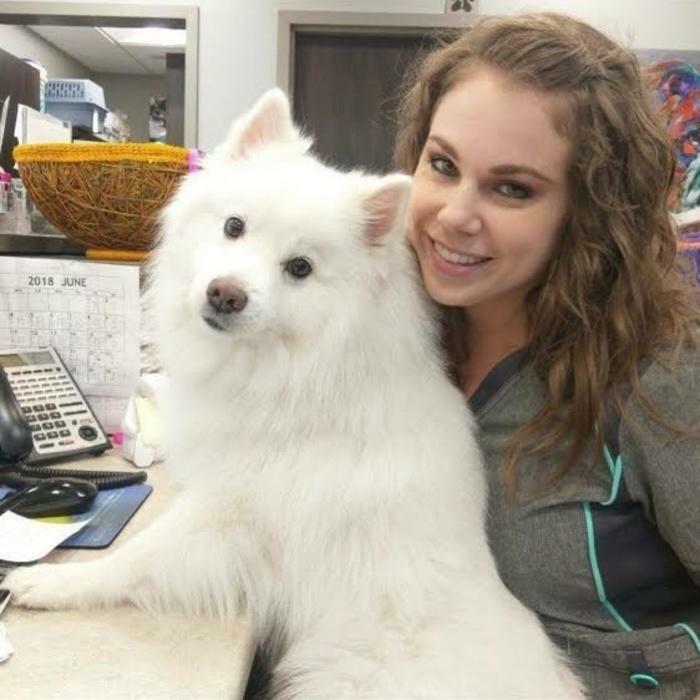 Britt joined the Skadron Animal Hospital team in November 2016. She received her Bachelor’s degree in Communications from Augsburg University in 2016. She has a Miniature American Eskimo dog named Charlie Bear that is her pride and joy. One of our wonderful and tireless kennel staff! 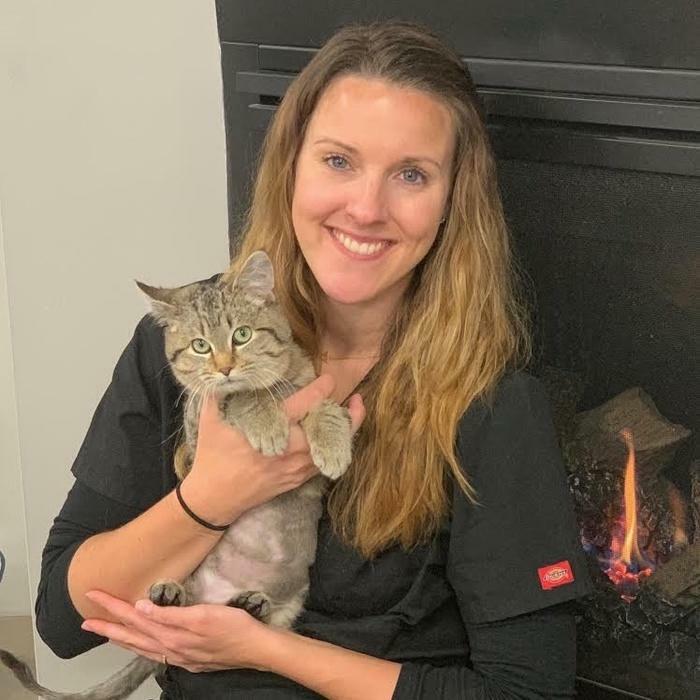 Kenzie became apart of the Skadron Animal Hospital team in April 2018. Kenzie is currently studying veterinary technology at Penn Foster College. Kenzie lives with her one rescue cat Oliver and one rescue husky mix Octavia. She is interested in going on nature walks with her dog and long boarding in the summer time. Bob is another one of our overindulged practice cats. His favorite spots include his “consultant’s stool” (above) and the perch in the crook of the window overlooking the lawn. Bob, like Penelope, does not have to punch a clock. He’s always on duty. Penelope loves it here at Skadron Animal Hospital. And why not? Where else can you have the run of an office along with a pipeline to an unlimited assortment of treats? Look up “spoiled cat” in the dictionary and you will see this picture of Penelope. 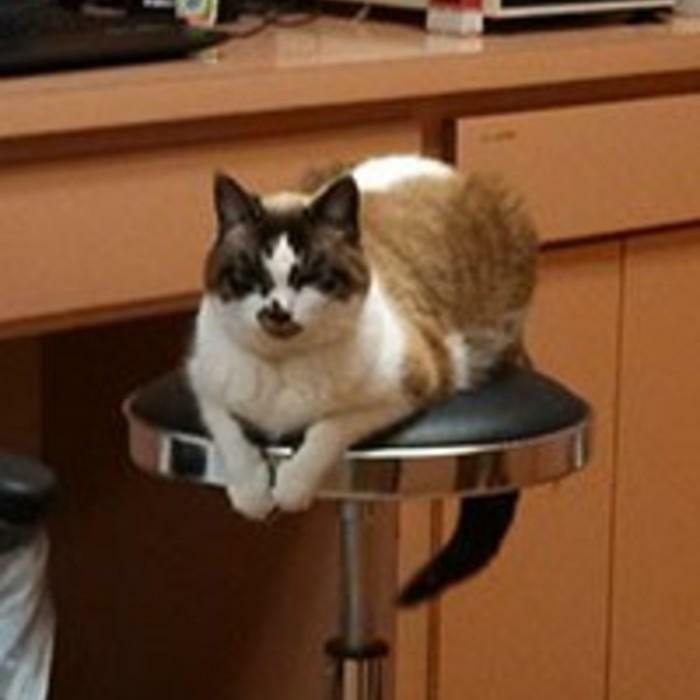 Raja is a frequent greeter to those entering the animal hospital. Her favorite pastime is bird watching. 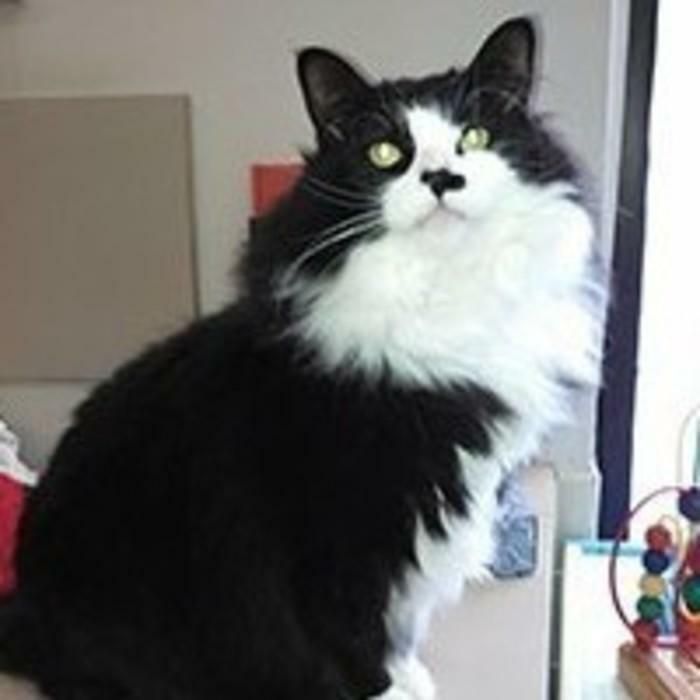 Ellsworth is one of our house cats who can be found on top of the cat tree or near the closest food bowl. He enjoys lots of attention from clients. and loves catnip. If he isn’t on the cat tree he is probably curled up in the basket taking a cat nap!